THE Samahang Basketbol ng Pilipinas (SBP) said no politicking was involved in the disbandment of the Perlas Pilipinas women’s basketball team, stressing the entire national team program, including the celebrated Gilas Pilipinas, was evaluated by a search committee before changes were made. 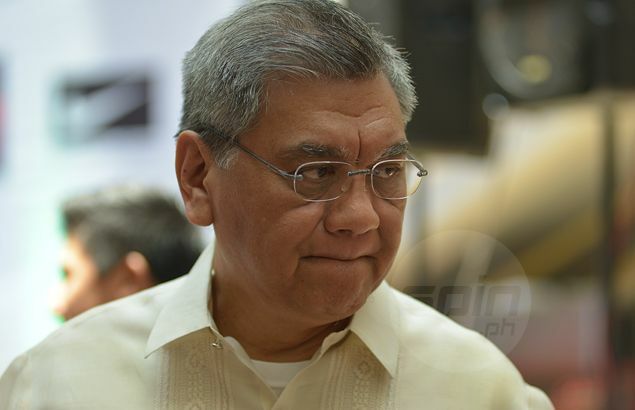 Reacting to a tirade by Perlas team manager Cynthia Tiu, SBP executive director Sonny Barrios explained no one was spared in the revamp, pointing out that even former Gilas coach Chot Reyes was evaluated despite leading the national team to an inspiring performance in the 2014 FIBA World Cup. In extent, he said everything went through a process. “Lahat ng national teams, covered nung search and screening committee. From Gilas, to women’s, to all age-group teams. Lahat sakop doon. Wala tayong pinepersonal doon. “Walang sinisino ‘yun,” Barrios said, referring to the search and screening committee. Barrios’ statement came in the wake of of statements by Tiu that the women’s squad was disbanded and its one-time backer Discovery Suite was replaced without any notice or explanation from the country’s top basketball governing body. The turn of events saw Patrick Aquino being appointed as the new women’s national team coach in place of Haydee Ong and Ever Bilena becoming the squad’s new backer. But Barrios pointed out the decision to make changes in the coaching staff of the women’s team was made after discussions among members of the search and screening committee, which is composed of several basketball stakeholders. At the same time, Barrios said the last thing he wants to do is engage Tiu in a word war, expressing SBP's gratitude to the Perlas manager for supporting the women's basketball program for the past seven years. ‘Yung search and screening committee, hindi lang ako ‘yun, Bernie (Atienza), and Butch Antonio. May representation doon ang UAAP and NCAA, and we met several times. It was done very professionally, if I may say so. We had certain criteria and several points, and we arrived at candidates,” recalled Barrios. “Then nag-rekomenda kami sa executive committee, kina (SBP president) MVP (Manny V. Pangilinan), Mr. (Ricky) Vargas, etc. To make the long story short, without naming other candidates that we considered, we arrived at Mr. Pat Aquino,” he said. The SBP executive director said the first order of business given to Aquino was to hold open tryouts for all players including the pool of players of Perlas Pilipinas. “The first thing we told Pat was to conduct tryouts, open sa lahat, and including first and foremost, ang unang automatic candidates ika-nga, is ‘yung pool under coach Haydee,” added the former PBA commissioner. Barrios reiterated that everyone is invited to join the tryouts, while also assuring Aquino will be very fair in the selection of the players who are going to comprise the national team seeing action in the Southeast Asian Basketball Association (Seaba) championship and the Southeast Asian Games. “I want to reiterate my official invitation to everyone who wants to try for a spot, including those who are former players of coach Haydee and Ma’am Cynthia (Tiu). Of course, if they don’t participate, what can we do. We can’t force them. “I talked to coach Aquino yesterday (Thursday) and we are on the same page that no matter what criticisms come his way, he is committed to having a welcoming posture and invite everyone interested to vie for a spot in the tryouts."